Our residential locksmith services including; home locks and keys repair and replacement, security systems and more. Commercial locksmith services include safe unlock, digital locks installation and repair and emergency lockouts. Our automotive locksmith services including; Lost ignition key, Keys locked in car, New car keys and more. We provide quick, reliable and professional locksmith services in Fulton, MD area. We provide high-quality services and use the specialized locksmith tools and supplies to satisfy our client's requirements. Our locksmith equipment is at an affordable price and matches the latest technical lock criteria. Fulton Locksmith offers a wide selection of general locksmith products, lock sets, keys, padlocks, deadbolts, keypads. For any type of locksmith services, we have a large selection of lock products for every budget and requirements. Fulton Locksmith works only with reliable manufacturers and well-known brands to provide the highest quality of the lock products installed. We are committed to providing you with the high-quality residential, commercial, and automotive locksmith services. We are using the latest technology and tools. We are locksmith specialized supplies with best equipment tool to handle all types of make and models. We use all locks from reliable and world-known brands include Framon, JET, South Ord, HPC Wenxing and many others. Fulton Locksmith provides fast, reliable and professional locksmith services for residential, automotive and commercial needs in Fulton, MD area. We also provide you garage door repair services. We provide you high quality of residential locksmith services. Our professionals know how to handle your home lockout in right way without damaging your locks integrity system. Our technicians can handle your lockouts with best lock solutions to avoid unwanted entrance. Our commercial locksmith services are available in Fulton, MD area. We visit individual to the customer and help them and our visit charged is very reasonable. However, the total fee the client has to pay consists of this visit fee along with labor fees. We have been successful in satisfying our commercial client with high quality, reliable lock service. Fulton Locksmith gives you the finest automotive locksmith services in Fulton, MD. 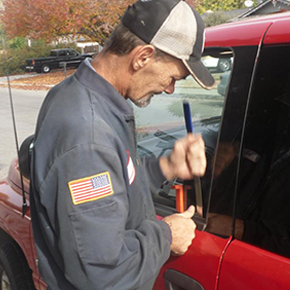 All sorts of lock difficulties are solved by our auto locksmiths. Our locksmith vans in Fulton will always be well equipped so we provide you the best lock solution. Our locksmith organization will solve your lock issue and modify your security program of your commercial or personal vehicle if you needed. If you need emergency locksmith services, call us at (877) 704-1146 to get an immediate response.